Beautiful 1 Bedroom 1 Bath!! A Must SEE! Water Included! Why waste time with roommates??!! 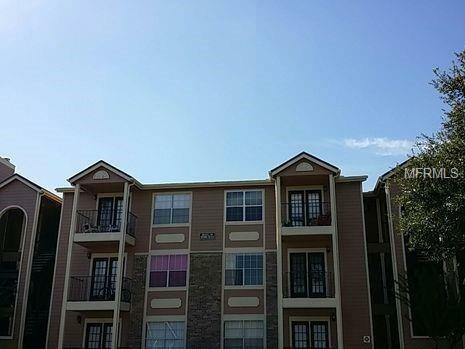 Enjoy this spacious, 1 bedroom 1 bath condo!! WASHER AND DRYER INCLUDED!! Over 500 square feet of living space all to yourself!! Featuring large galley style kitchen with Refrigerator, Range, and Dishwasher! WOOD LAMINATE AND TILE FLOORING, BEAUTIFUL CUSTOM COLOR!!! Need closet space? The large master has a GREAT walk in closet! Located less than 5 minutes from UCF!! Minutes to Waterford Shopping, 417, entertainment and more! The community offers 2 pools, 2 private clubhouses, Indoor Racquetball Court, Fitness Center and Onsite Auto Care Center. Additional Pet Fees Pet Friendly With 35Lb Max Weight Limit Full Grown $250 Non-Refundable Pet Fee/Pet No More Than Two Pets No Aggressive Breeds.